Thinking about doing your own fireplace makeover? There are so many options for a complete fireplace transformation. A modern looking fireplace can change the whole feel of a room. 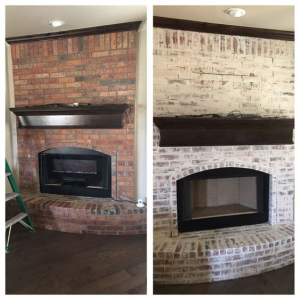 Check out some projects below to see what a huge difference painting your fireplace can make and gather some fireplace makeover ideas for your own fireplace! If you think you are ready to learn more, take a look at our Complete Guide To Fireplace Painting.